We offer professional and personalised high quality treatment solutions through effective manual therapy applied to change the negative inhibitions of the central nervous system through direct application of muscle, tendon and nerve manipulations. Principal Neuromuscular Therapist and Director of The Balanced Body Centre. Daniel Ribeiro is a qualified Neuromuscular Therapist specialising in the management of neuromuscular disorders and injury rehabilitation. Well known in his specialist field, Daniel's depth of knowledge and experience spans across Myotherapy, injury rehabilitation, pre and post natal therapy, pre and post event treatment, work related injury management and sports injury management. 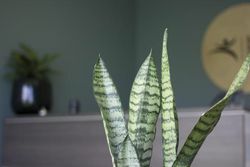 Daniel has also spent many years helping clients overcome their day to day ailments and injuries through a specialised in-house technique called "Myo-Neural Release” at The Balanced Body Centre. Daniel most enjoys maintaining relationships with his vast clientele portfolio. He finds reward in seeing his clients get both back on and staying on track, allowing them to focus on achieving their desired goals, be it in casual, semi-professional or pro level sport along with everyday wellness and mobility. Daniel has worked closely with sports teams from the NSW state league in soccer, NRL West Tigers, AFL Sydney Swans and Professional/Semi Professional athletes in Tennis, Distance Running, Rugby Union, Little Athletics, Body Builders, Ballroom Dancers, MMA Athletes, Boxers, International Ballet Dancers, Gymnasts and Ironman/Women. 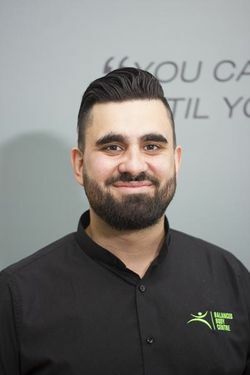 Having worked alongside leading Orthopaedic Specialists, Sports Physicians, Dieticians, Exercise Physiologists, Personal Trainers and Naturopaths, Daniel values the importance of a professional and holistic approach to health care and injury management. His experience, spanning more than a decade, is professionally supported by the Massage and Myotherapy Association of Australia. 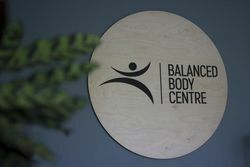 Established in the year 2000, The Balanced Body Centre formally known as the “Coogee Balanced Body Centre” was situated in the heart of Coogee on Coogee Bay Road for many years. Over the years we have transitioned to Alexandria and now residing in St Peters. 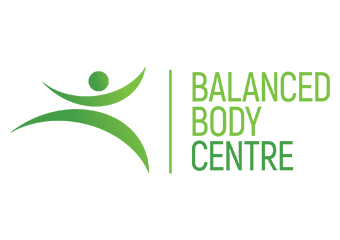 For close to 20 years The Balanced Body Centre has been providing quality treatments to the city of Sydney and developing relationships with both professional and semi-professional athletes and associated health professionals Nationally and Internationally along with treating the everyday person. An in House method that has attracted many practitioners over the years to be mentored in the Myo-Neural Release technique along with clients wanting to experience what we have to offer. An Effective, Precise and Direct Approach to Manual Therapy and Rehabilitation. Our unique application of Neuromuscular Therapy along with the specific injury rehabilitation techniques are designed to maintain and increase your optimal level of functionality. Our treatments are applied with the deep understanding of Functional Anatomy and Physiology along with the particular demands placed upon the body by the client and their specific activity. Treatments are done with the principal mandate of returning you to your desired sports activity and or work commitments with the same or an improved level of function. We will often utilise a variety of modalities such as, Myo-Neural Release, Myofascial Release, Trigger Point Therapy, cross fibre frictions and deep tissue work along with tendon and nerve manipulation. The usage of Dry needling and Myofascial Decompression may be used in treatments to enhance the recovery of certain myofascial and neuromuscular conditions. Dry Needling is the use of fine needles in the treatment of pain caused by Myofascial Trigger Points (MTPs). MTPs are hyper-irritable points in a muscle, often with a palpable nodule due to acute or chronic overload. Dry needling involves inserting the fine needles into the skin and then deeper into the MTP. Dry needling is proposed to work by changing the tone within the muscle, allowing it to relax. It does this through a Local Twitch Response (LTR). Here the muscle fibres in the taut band of muscle contract involuntarily. It is believed that this also helps with pain relief through the activation of endogenous opioids (the body’s natural pain relieving substances).